Join Temple Kol Ami member Stu Raben for a lesson on you hand held device such as a cell phone or tablet. The event is free and opened to the community. RSVP is required to cspektor@tkolami.org or call 248-661-0040. 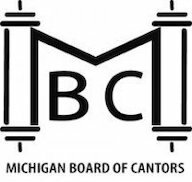 The Michigan Board of Cantor's return to The Berman stage this spring for their annual concert. This year, the concert will take audiences on an unforgettable musical journey while paying tribute to the Jewish influence in music of all kinds. Come experience the wonderful talent and special camaraderie of our community cantors this May!